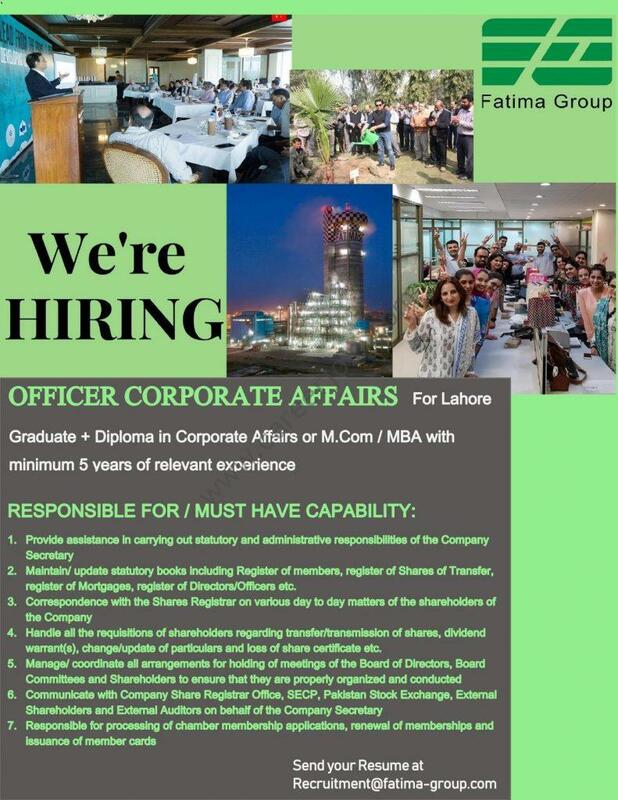 Fatima Group Jobs Corporate Affairs Officer:We are looking for a Corporate Affairs Officer for Lahore. The ideal candidate should have minimum 3-5 years of relevant experience with a Graduate + Diploma in Corporate Affairs or M.Com / MBA. Interested candidates should email their resumes to [email protected] with “Corporate Affairs Officer” in the subject line, latest by 30th March, 2019.